At astroGC we use free software for post processing of images. The camera is setup to save a RAW format of each picture. This produces extremely large files as it just save all the infomation from the camera chip. But this format alows to retouch the color balance, exposure and hundreed of more parameters. We do this treatment with RAWTHERAPEE, a free program under GNU licence. Afterwards, a last retouch can be performed with GIMP, also free / GNU licenced program. Thanks to both companies for developing such powerful softwares. Please help! I am looking for a name for this telescope. It is big. 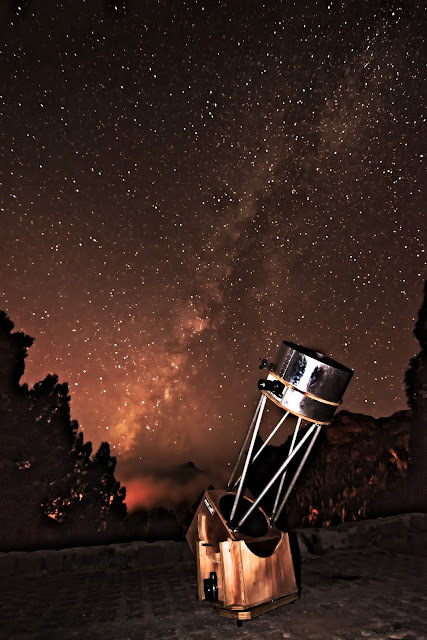 Made in Gran Canaria by astroGC. ¡Ayudenme por favor! Estoy buscando un nombre para ese telescopio. 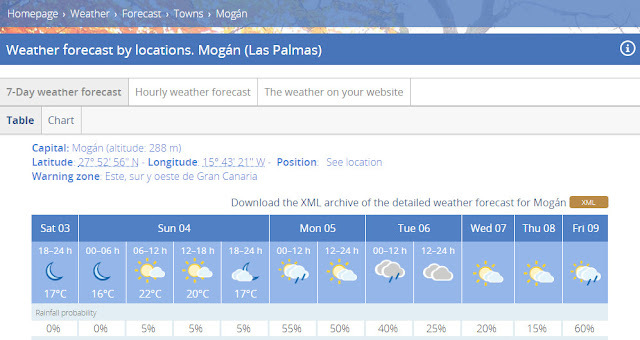 Unfortunately, it seems we are going to have another cloudy winter in the Canary islands. We had many difficulties to run the workshops during October due to Leslie Hurricane slowly crossing in the nearby. Once again the weather forecast predicts some difficulties for next week. At astroGC we cancel the trips when the weather forecast is not convincing. This way we save our time and the time (and money) of our guests. Nevertheless, the last few nights were good. The wind is blowing a bit disturbing the observation of planets but the sky is very clear (and moonless). This are excellent conditions for observing deep sky objects. Andromeda galaxy has been fantastic lastly. 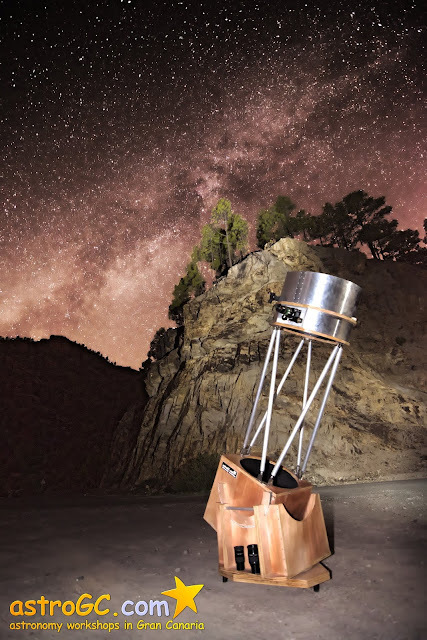 When possible, we use our new handmade telescope in the trips. 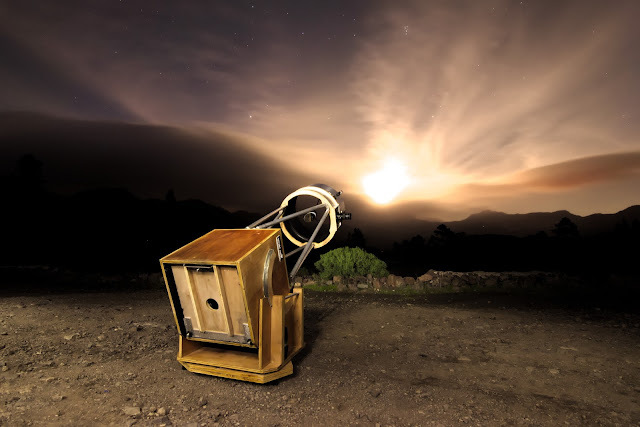 This is a perfect telescope for observing the deep sky. This picture has been taken yesterday night.